April 25th, 2008 is a day that I’ll never forget. It was the worst day of my life and that’s no doubt why the details are so vividly etched into my mind… What I’m going to share with you is the most personal story I’ve ever shared. But I’m sharing because I think it’s an incredibly important lesson that literally everyone can benefit and learn from. By the time you get to the end of my story, I promise you’ll have a whole new appreciation for just how important conditioning really is — and how to develop it in yourself (or in your clients) not just to perform better, but to live better. I remember stepping outside of my gym to get the mail at around 12:30pm when I got the call. It was from an area code that I didn’t recognize and I wouldn’t have normally answered it, but this time I did for some reason. “Is this Joel Jamieson?” the voice asked. “Yes, who is this?” I cautiously replied. Anyone that’s ever gotten a call like this will tell you that it can literally take your breath away. The shock and confusion are almost too much and the words you just heard just don’t make sense. I had just talked to my mom the night before and nothing was wrong. In general, she seemed healthy: she didn’t have any pre-existing medical conditions, she wasn’t on any medications, she wasn’t overweight, she didn’t drink, and she didn’t smoke. Of course like the majority of people, she didn’t work out — and her diet definitely could have been better. But she was a flight attendant and was very active, routinely walking all over the place during her layovers. She was on one of those layovers in Miami when she had the stroke. At the time, I would have been less surprised if I had gotten a call about her plane crashing – something that’s about as statistically unlikely as it gets – than about her having a stroke. Within a couple of hours of getting that call, I was at the airport and boarding a plane from Seattle to Miami. It was bad enough to answer that call, but to make matters worse, the nurse couldn’t give me any details about the stroke severity or what to expect. All I knew was that my mom was in the ICU and unconscious. I had no idea what to think and no way to know just how bad it was…or if she was even going to survive. There was nothing I could do but spend the next 12 hours, between the flights and layover, wondering just how bad it was. I didn’t know how the hell I was going to deal with it if she didn’t make it, or if she did make it, but couldn’t walk, talk or remember anything. Those were by far the most brutal 12 hours of my life. I finally got to the hospital at around 8am, running on literally zero sleep. I was mostly relieved to learn that my mom had at least regained consciousness and the doctors said the odds were good that she’d survive. However, there were no guarantees. The next 48-72 hours were critical and my mom needed to remain in the ICU. I lived in the 200 sq ft. ICU room for 3 days, running on little-to-no sleep. I spent most of my time staring at a variety of screens monitor everything from my mom’s blood pressure to body temperature. 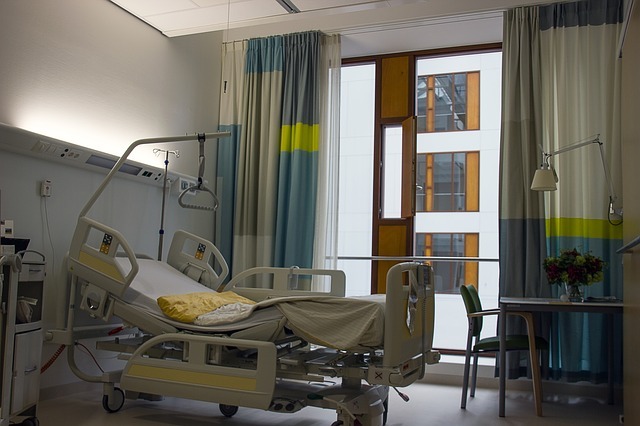 Every few hours or so, an alarm on one of them would start going off, which would bring a nurse or doctor into the room to check on everything and reset the alarm. They kept assuring me this was perfectly normal, but watching my mom go in and out of consciousness as she was pumped full of various medications felt like anything but “normal” to me. When my mom was awake, she was able to talk a little bit, though it was clear that the right side of her body and face were paralyzed. The paralysis and her drug-induced state did little to reassure me that everything was going to eventually be ok again. When “Statistics”Become Personal — Also, How Does a Healthy Person Have a Stroke? After 3 agonizing days in the ICU, my mom was eventually transferred to a standard hospital room where she stayed for another 7 days. From there, she transitioned to a rehab facility for 2 weeks to work on regaining control of the right side of her body. Things weren’t definitely “ok again” by any means, but at least she was out of the woods. It was clear she was going to make it through to the other side, albeit to a much different life than the one she had before the stroke. Aside from making sure she had the care she needed, the next important thing to me was understanding how this could happen in the first place. How could someone that was seemingly healthy and relatively active, with no known history of medical problems, suddenly have a life-threatening stroke out of nowhere? Together, the conditions related to cardiovascular disease — stroke, coronary heart disease, etc.— kill more people every year than every form of cancer combined. To put things in perspective, 1 in 31 women in the US will die from breast cancer…but 1 in 3 will die from cardiovascular disease. To be honest, I had read statistics like this before, but until it a loved one or friend becomes part of one, they are mostly just numbers on a page. When I thought about heart attacks and strokes before this happened, I always thought they happened to people who were overweight, ate poorly, smoked, drank, etc. I didn’t think of people like my mom. For months on end, I read every book and research paper that I could get hands on related to cardiovascular disease, stroke, stress, inflammation and everything in between. The more I read, the more interesting things became and the more I wanted to keep reading. Eventually, I started to see a different picture of health, wellness and disease. It became clear how someone like my mom could go from seemingly good health one day to clinging to life in a hospital the next. I discovered that the key to understanding how this happened was hidden in the relationship between stress and inflammation. Although just about everyone is familiar with inflammation, the exact way that it works is a mystery to most. This has really only started to become more and more clear in terms of the research in the last ten years or so. Although everyone is familiar with the term “stress,” most people don’t really understand what it means to the body and how it relates to inflammation. This relationship is absolutely crucial to both survival and how 1 out of every 3 people in this U.S. will ultimately meet their end. To get to the bottom of how inflammation works, as well as how it can slowly kill you, we have to first talk a bit about the autonomic nervous system (ANS). In case you’re not familiar with it, the ANS is responsible for two major elements that are directly related to your survival. First, the ANS works to ensure the components of your body’s internal environment — everything from your blood pressure, to your blood sugar, to oxygen levels — are always within normal ranges, no matter what you do to it. Whether you’re lifting weights, sprinting, sleeping, fasting, or anything in between, the ANS makes sure nothing goes haywire. If because you ANS ever to stopped doing this, you won’t last long. The second thing the ANS does, which is also directly related to the first, is manage both energy production and energy storage. This is another huge component of survival, especially in the sense of our evolutionary biology. For an animal in the wild, nothing is more crucial when it comes to survival than managing energy. This is a topic I covered in my previous article on CrossFit. When an animal is racing to catch its prey, or when it’s trying to avoid becoming prey itself, its survival depends on its ability to generate a massive amount of energy as quickly as possible. The ANS governs energy management effectively through its two branches: the sympathetic and parasympathetic systems. It cranks up energy production through its sympathetic side and turns down energy production, while simultaneously turning up energy storage, through opposing actions from the parasympathetic system. Why is this so important to understand? How, exactly, is this a matter of life and death? Simple. It’s because these two branches of the ANS don’t just manage energy, they also control inflammation. And inflammation is how the stress of life can, and often does, kill you over time. To get an idea of how the ANS regulates inflammation, we can look at the way the sympathetic and parasympathetic nervous systems stimulate the release of specific hormones that play different roles to keep us alive. As you can see, the sympathetic system is part of what’s called the Adrenergic pro-inflammatory pathway and some of the hormones it releases bind to receptors on immune cells called macrophages. This binding causes an amplified immune response in the body. This means that anytime the sympathetic system is activated, the body is going to be in an inherently pro-inflammatory state. Going back to the role of the ANS in survival, it makes sense that any time there’s a need for increased energy, it’s beneficial to put the immune system on high alert. The sympathetic system was designed for periods requiring a “fight or flight” response. During these periods, you’re not only more likely to be exposed to dangerous pathogens, you’re also much more likely to stress tissues that will need repair. This is a large part of what the inflammatory response is for in the first place. During a workout, for example, there are all kinds of metabolic and mechanical stress occurring in various tissues. This stress leads to inflammation and the inflammation signals the brain and starts the repair processes that ultimately lead to bigger, stronger and more functional tissue than you started with. Without inflammation, this process would never occur and we wouldn’t have the ability to adapt to our environments. In other words, inflammation is crucial to adaptation and to survival as a whole, but it can also be a double-edged sword. Acute inflammation is protective. Chronic inflammation, on the other hand, can slowly lead you down the path of cardiovascular disease and death, and that’s exactly what it does to nearly 1 out of every 3 Americans. Whether inflammation is your friend or ultimately leads you to become the next statistic largely depends your body’s ability to shut it off when it’s no longer necessary. The other side of the ANS responsible for controlling this process is known as the Cholinergic anti-inflammatory pathway. This pathway inhibits inflammation by releasing acetylcholine that binds to specific receptors on immune cells. Binding to these receptors shuts off the release of pro-inflammatory proteins called cytokines. 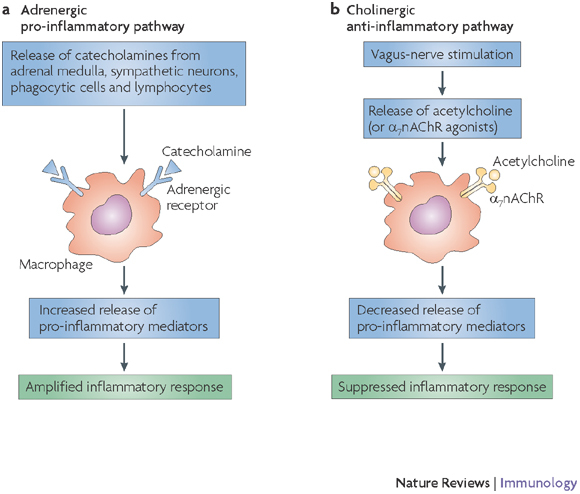 As you can see from the diagram, inflammation itself is what triggers this anti-inflammatory pathway. The vagus nerve referred to below is the primary nerve of the parasympathetic system. 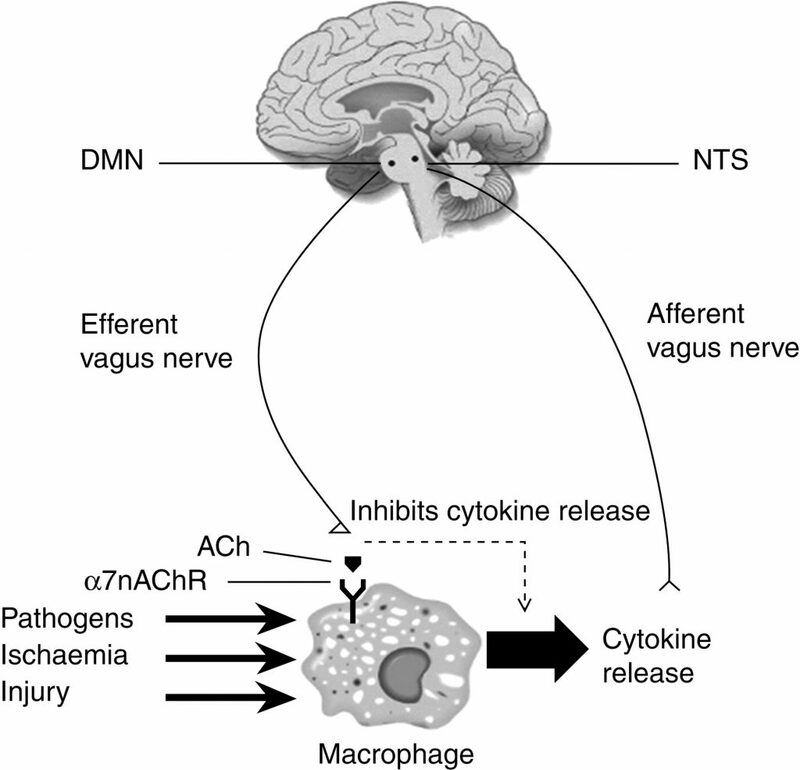 When the afferent branch of the vagus nerve senses inflammation, it carries this signal to the brain and causes an area called the dorsal motor nucleus (DMN) to trigger the efferent vagus nerve to release acetylcholine and this causes inflammation to be essentially “turned off.” This inflammatory reflex is how the body keeps inflammation from getting out of control — at least that’s what it’s supposed to do. In a perfect world, the body would be exposed to stress, inflammation would be produced and do its job, and then it would be shut off and everything would work perfectly. The problem, however, is that we don’t live in a perfect world and the stress that so many of us put ourselves under on a daily basis can, and often does, take its toll over time. It’s easy to buy into the idea that what doesn’t kill us makes us stronger. When it comes to too much stress, however, it kills us, just not right away. In the case of my mom, for example, it was the stress of her job as a flight attendant that was the primary culprit. In fact, her progression towards disease can be clearly traced to a specific change that added a ton of stress to her life. For years, she lived in Seattle and was based in San Jose, which meant that a few times a month, she flew 1.5 hours back and forth to go to work. After the events of 9/11, however, the airlines laid off thousands of people, including her. She was able to get her job back after a couple of years, but she had no choice but to be based in New York. Instead of moving, she decided to make the commute, so she flew back and forth across the country just to go to and from work. The stress of constant traveling, having an erratic sleep schedule, eating airport food, etc., was simply too much stress on her body. Within a matter of a few years, she ended up in the hospital with the stroke, despite having no obvious warning signs and virtually none of the traditional risk factors. Don’t get me wrong, there were clearly genetic factors at play as well, but her example illustrates just how important it is to realize the toll that chronic stress takes on the body. Most people, particularly those that spend hours in the gym, understand the impact of training on the body because it’s something they can feel, but they have no idea of the true effects of mental stress, nutritional stress, environmental stress, etc. The reality is that even if you kill yourself in the gym a few hours a week — not something I recommend, of course — the amount of stress in those few hours doesn’t compare to the total stress that you can inflict on yourself just through daily life. Training is an hour or two, life is 24/7. This is a lesson that far too many people don’t learn, my mom included, until it’s too late. Chronic, low-grade inflammation isn’t something that most people feel. By the time real symptoms start showing up or a medical exam reveals there is something wrong, the damage has already been done. Fortunately, the story doesn’t have to end like this. There’s something that each and every person can do to combat the inherent stress of life and avoid becoming another sad tale. By now, the importance of making sure that your body is able to effectively balance the pro- and anti-inflammatory forces that are a fact of life should be obvious. Preventing acute inflammation from becoming chronic, systemic, low-grade inflammation is absolutely essential to preventing the many diseases that plague our society and so many of our loved ones. Although science can’t yet answer the exact specifics of why or how, one thing that’s abundantly clear is that a high level of aerobic fitness is the most powerful tool we have for increasing the body’s ability to mitigate inflammation. This is because aerobic fitness is directly linked to what’s called vagal tone – the overall function of the vagus nerve at rest. 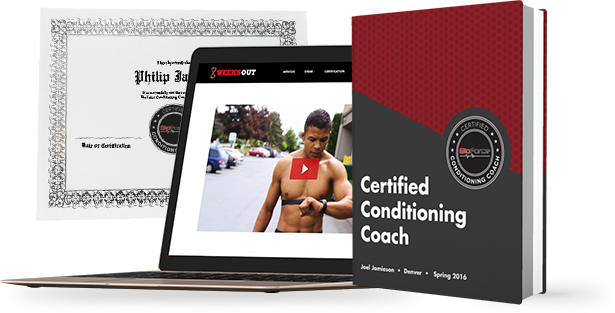 In my complete, practical, self-study course, I want to help you become 100% confident in your ability to write and coach conditioning programs that actually work— regardless of what kind of client or athlete you work with. The review, titled, “Does Physical Activity Increase Life Expectancy? A Review of the Literature,” looked at whether being generally active improved life expectancy, as well as if there was any evidence that being an athlete made any additional difference. As you would probably expect, the review found that people that were active could expect to live about 0.4 to 4.2 years longer than those that weren’t. No big surprise there. What most people might find surprising, however, is that when the review looked at life expectancy across different populations of athletes, mostly elite athletes, the only group that consistently lived longer than the average person was aerobic endurance athletes. Endurance athletes, in fact, could expect to live between 4.3 and 8 years longer than the average person. Even more interesting is that some of the studies in the review found that team sport athletes actually had lower life expectancy, by as much as up to 5 years, compared to the average person that was just moderately physically active. Aside from this review, of course, there’s a mountain of other research that supports higher aerobic fitness is associated with much lower rates of cardiovascular disease, stroke, diabetes, and increased cognitive function and more. Traditionally, this relationship was thought to be due purely to changes in the cardiovascular system itself. 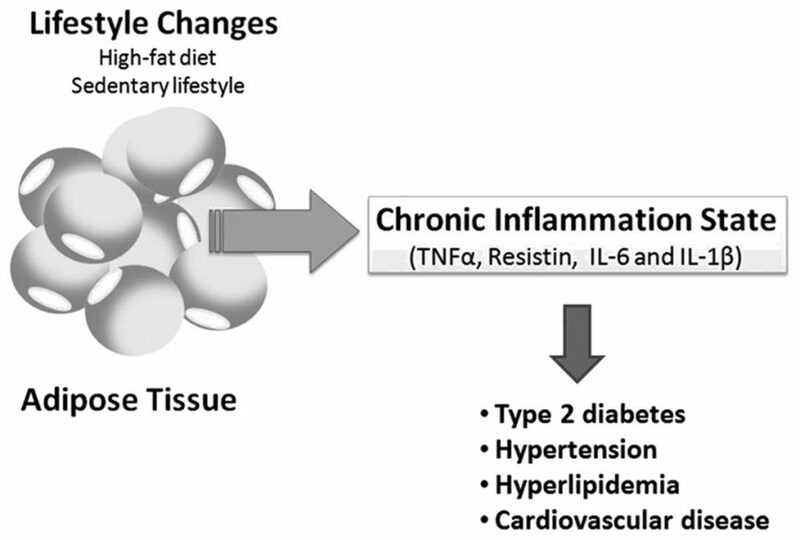 However, it’s becoming clearer that a big reason higher aerobic fitness leads to lower risk of the most common diseases is because it protects against chronic inflammation. One study, for example, Markers of inflammation are inversely associated with V̇o2 max in asymptomatic men” demonstrated an incredibly clear and linear relationship between aerobic fitness (V02 max) and markers of inflammation like C-Reactive Protein and fibrinogen. 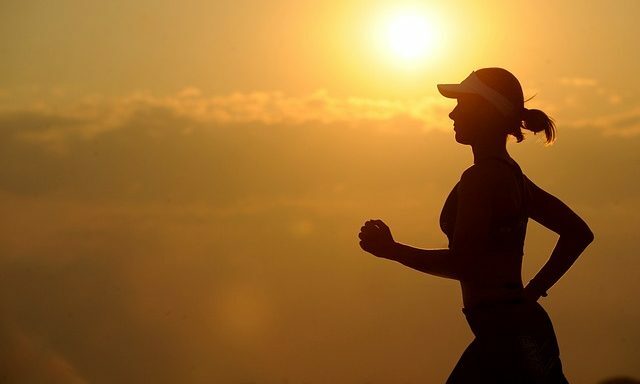 When you dig into the research, it becomes incredibly clear that many of the most important benefits of increasing aerobic fitness come from the anti-inflammatory capacities that develop along with it. The importance of this cannot be overstated. Being big and strong might be cool, but conditioning can be the difference between life and death. The more I started putting all the pieces of stress, inflammation, and disease together and began understanding how someone like my mom could have a stroke, the more I began to look at my own training and lifestyle. There is no stronger agent for change than the realization of your own mortality. I knew I need to shift my priorities and rethink my training. Even though I was used to conditioning high-level combat athletes, my own training primarily consisted of lifting weights and little-to-no aerobic work. Even worse, the sheer stress of dealing with my mom’s stroke and taking her from one doctor to the next for months on end had taken its toll. My eating habits and sleep had taken a serious turn for the worse. I didn’t feel good, I had put on 10-15lbs of pure fat and I knew I had to make a change. Over the weeks, months, and years since that terrible day in 2008, my training and my priorities have dramatically shifted. I don’t care much how much weight I can lift and conditioning is a regular part of most of my training days. Even though I had already spent a great deal of time studying conditioning to help my combat athletes get ready to fight, the desire to improve my own conditioning and be healthy only fueled that fire to research even more. A year later, in 2009, I started this website and began writing and speaking on the subject of conditioning. Since then, I’ve come to the conclusion that there are 3 things that every single person that wants to live a long and healthy life, regardless of what their specific fitness goals may be, should follow. I consider these 3 areas to be the starting points of health and wellness. They are all absolutely essential if you want to avoid becoming just another statistic. If there’s one lesson I’ve learned after more than 15 years of being a coach and working with thousands of people, it’s that consistency is a far better path to long-term success than intensity. In the last 5 years or so, just about everyone has jumped on the high-intensity bandwagon. People all over the U.S. have been convinced that they have to practically kill themselves every time they’re in the gym if they want to get in better shape. I’ve written about this topic plenty in the past, but it bears repeating. The truth is that while intensity is important, it’s not the only thing that matters. The biggest problem with high intensity is that it is a huge driver of inflammation, simply because it places so much stress on all the tissues and on the immune system. This is why it’s so easy to overtrain when you use too much intensity. It often promotes a chronic state of low-grade inflammation that leads to plateaus, injuries, and worse when continued for too long. In the last article, I discussed what CrossFit has done right and what has made it successful. Yet their endless focus on high intensity is the thing they’ve gotten completely wrong and where they’ve done more harm than good. After my mom’s stroke, I cut my own high-intensity training down to 2 days per week at most. I also started regularly incorporating low intensity, stress-reducing training methods, like swimming, while focusing on the quality of work much more than the quantity. 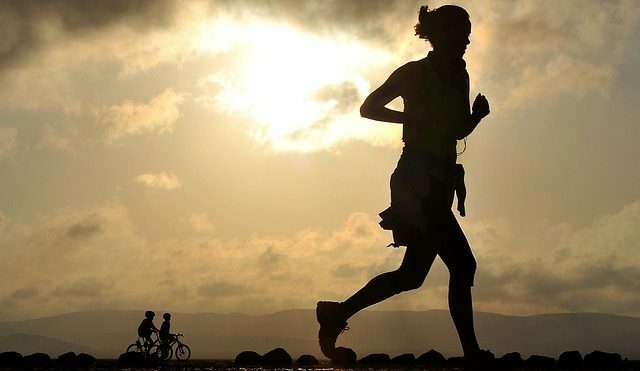 The review discussed earlier showed that endurance athletes consistently have lower disease rates and live longer. If my goal is to experience the same benefits, I need to look at how they train. The review found that when you look at the training intensity distribution across almost all successful endurance athletes, the magic ratio seems to be about 80% low intensity and 20% high intensity. Many of the most promoted programs today do the exact opposite: 80% high intensity and 20% low intensity. Then people wonder why they aren’t getting better and their joints are hurting. You may not have any desire to be an endurance athlete, there’s a lot to be said for training like one if your goal is to live a long and healthy life free of disease. One of the first things I did after my mom’s stroke was start checking my own inflammatory markers on a regular basis in addition to using heart rate variability (HRV). The strong correlation between HRV and life expectancy was one of the major reasons I began working on creating BioForce HRV, one of the first truly affordable and easy-to-use systems on the market. If you’re not familiar with it, you can take this video course to learn more. However, the short story is that HRV is the best marker of the overall function of the vagus nerve. This makes it an incredibly powerful proxy for systemic inflammation. Given that it takes just a few minutes each day to measure your HRV, it should be a no-brainer for anyone that values their health and wellness. Aside from that, I also started doing blood work on a quarterly basis to check for systemic markers of inflammation, including hs-CRP (high sensitivity C-reactive protein) as well as homocysteine and fibrinogen and the more standard cholesterol markers. This is something I’ll do for the rest of my life and something I highly recommend for anyone over the age of 35 or 40, especially if you have any family history of cardiovascular disease or stroke like I do. When it comes to blood work, it’s best to work with a good doctor. However, it’s also possible to order these tests yourself, as well. The two places I recommend for this are Life Extension and WellnessFX. With Life Extension, you can choose from literally hundreds of different tests and mix and match them as you like. WellnessFX offers fewer tests and is usually slightly more expensive, but it has a great feature that allows you to visually track your tests over time and see trends as well as anything that may be outside the norm. Whether you work with your doctor or order your own tests, the key is to be proactive about your health rather than wait until something goes wrong. Tracking markers of inflammation over time is a very effective and important way to ensure you’re on the right track and to gauge the results of everything from training and nutrition to life stress. By now, it should be obvious that the ability to shut off the sympathetic system when you don’t need it is crucial. In fact, it’s equally important to developing aerobic fitness and the body’s potential to mitigate inflammation. This ability is a highly undervalued skill. Just like any other skill, it also requires effort and practice to master. The first place to start developing this skill is at the end of your workouts. Using a heart rate monitor, perform a cool down and make the goal to drop your heart rate back towards your normal resting level as quickly as possible. Try performing a 90/90 breathing drill and see how quickly you can get your heart rate to drop. The key here is to learn how to consciously control your energy expenditure to reduce sympathetic activity. With a little practice, you should be able to get your heart rate all the way back down to within 5-10 bpm of our resting heart rate in as little as 3-5 minutes. If you’re having a hard time, one of the best ways to improve this is by using some of the PRI breathing exercises. Take a course yourself or work with someone that’s experienced with the protocols to really get the most out of them. Not only will this help you develop a valuable skill, it will also speed up recovery. The faster the sympathetic system comes down, the sooner the parasympathetic can turn on to drive down inflammation and promote recovery and regeneration. Once you’ve learned how to turn off the sympathetic system after you work out, the next step is to start practicing it every night before you go to sleep. This will go a long way toward improving the quality of your sleep, which plays a huge role in mitigating inflammation and facilitating recovery. It’s also important to eliminate caffeine as much as possible both after your workouts and within a few hours before bedtime. Stimulants increase sympathetic function, and, as we discussed earlier, this sympathetic activity is what drives inflammation. After your workout and in the hours leading up to bedtime, the last thing you want is to have is too much sympathetic drive. It seems that 3/4 of the population lives on a constant caffeine drip. If this applies to you, I strongly recommend working to change it. Doing the little things to eat better, train smarter, and learn how to consciously shut off the sympathetic system is one of the most powerful ways to take control of your health and wellness. Although my mom unfortunately never made a full recovery, she was able to make it through the most difficult thing anyone could ever go through and come out on the other side. She is now happily living in a retirement community where she’s made a ton of friends. While she wasn’t able to get back to her career flying, she’s discovered social media and how to use emojis to keep in touch with everyone. Even though she doesn’t get out as much as I’d like her to — it doesn’t help that she practically lives on Amazon half the time — she does get in the gym at least three days a week and is making an effort to be active. Her diet has also dramatically improved and she’s getting more than enough sleep. While the transition hasn’t been easy for her at times, she still has a positive outlook moving forward. My mom’s story is just one of millions out there, and in this country, someone dies from a stroke every 4 minutes. Chances are that almost everyone reading this article has been through something similar with a friend or loved one, or at least will at some point. The sad truth is that it doesn’t have to be this way. Research has shown that up to 80% of the deaths related to heart disease and stroke are attributable to preventable factors. The point of sharing this personal story with you is simply to offer my experience of watching a loved one go through the unnecessary consequences of a life filled with too much stress and too little conditioning. I’ve shared the lessons I’ve learned along the way in the hopes that they may help you see stress in a different way and realize the true value of conditioning and its impact on health. Conditioning may not be a magic pill, but for now, it’s the closest thing to we have. The Certified Conditioning Coach Course is Now OPEN! I’ve compiled everything I’ve learned about conditioning into one complete, practical, self-study system. My goal is to help you feel 100% confident in your ability to write and coach successful conditioning programs — no matter what kind of clients you work with. Learn to write conditioning programs that get real results. Spots open twice per year for a limited time. Become a certified conditioning expert and watch your business and reputation grow.